A police report on the May 17 death of singer Chris Cornell at a Detroit hotel following a Soundgarden concert in the city is providing a timeline and further details about the final hours of the rocker’s life. The Detroit News reports Cornell walked off stage with his bandmates at The Fox Theatre about 11:15 p.m. to the cheers of a sellout crowd of more than 5,000 fans. Within 15 minutes, according to the police report, Cornell was back in Room 1136 at the MGM Grand Detroit, where bodyguard Martin Kirsten helped fix the singer’s computer and gave him two doses of a prescribed anti-anxiety medicine, Ativan. At 11:35 p.m., Cornell spoke with his wife, Vicky, who grew concerned when she noticed the rocker was slurring his words, sounded groggy and kept repeating “I’m just tired” and admitted to taking "an extra Ativan or two." Following the couple’s conversation, Mrs. Cornell contacted Kirsten at 12:15 a.m. and asked him to check on her husband. Despite having the key to Cornell's room, the bodyguard was unable to open the door because it was latched; he then called hotel security, who advised they would not let him in the room because he wasn't authorized to enter it. Kirsten then kicked open Cornell's hotel door and entered to find the bathroom door latched, as well; another request to hotel security for assistance was denied and the bodyguard kicked the second door open to discover the singer “with blood running from his mouth and a red exercise band around (his) neck,” according to the report. EMS Unit 42 arrived at the scene by 1 a.m. and an emergency medical technician also unsuccessfully performed CPR on Cornell. “At 1:30AM on 5/18/2017, victim was pronounced dead (by a doctor who came to the scene),” the report said. Cornell’s death has been ruled a suicide by hanging following an autopsy by The Wayne County Medical Examiner's Office. “A full autopsy report has not yet been completed. There is no additional information at this time," the office revealed in a May 18 statement. “Without the results of toxicology tests, we do not know what was going on with Chris - or if any substances contributed to his demise,” said Cornell family attorney Kirk Pasich in a statement. “Chris, a recovering addict, had a prescription for Ativan and might’ve taken more than the recommended dosage. The Detroit concert was part of Soundgarden’s month-long spring tour of North America, which was due to finish in Pryor, OK on May 27. 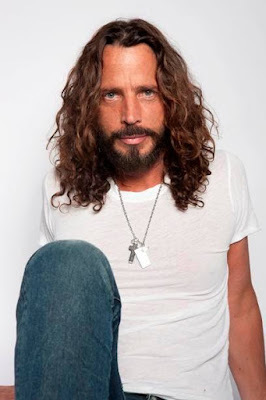 Video footage of Chris’ final show with Soundgarden at The Fox Theatre in Detroit can be viewed here.